I thought it would be fun to put these ideas all together for him in my blog! 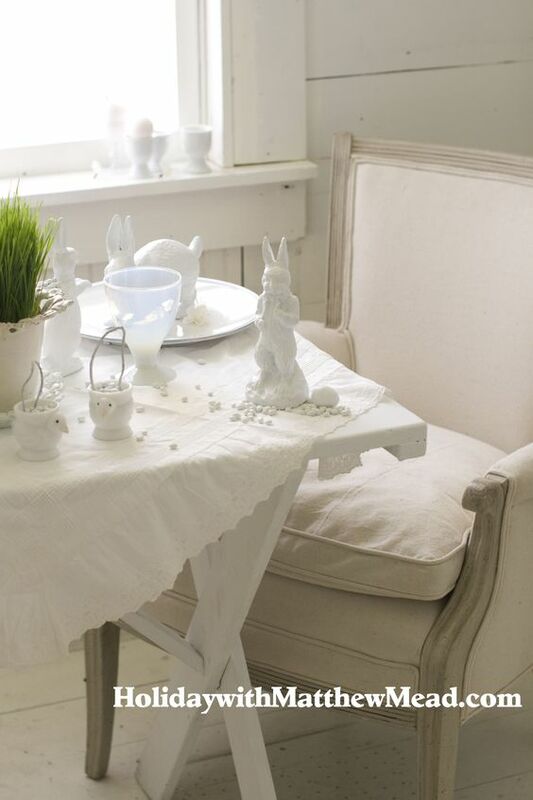 for your spring or Easter table. White, white and more white!! 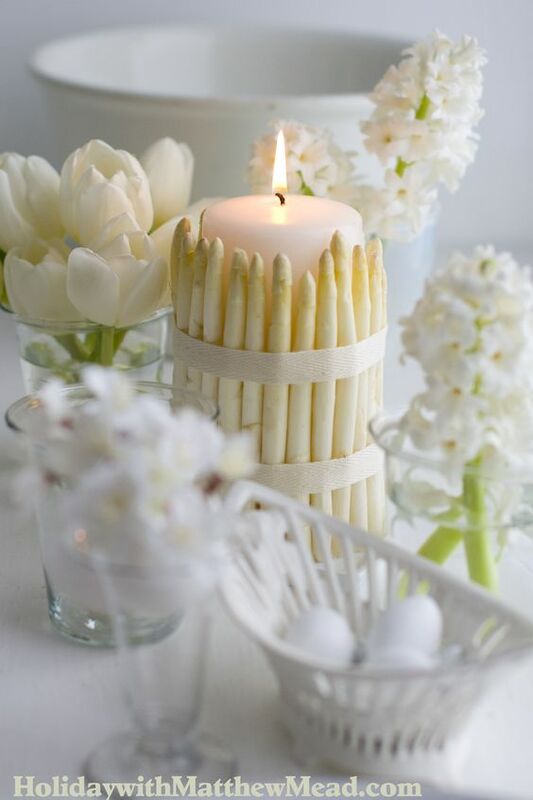 White asparagus surrounds a white pillar candle, secured with white ribbon. 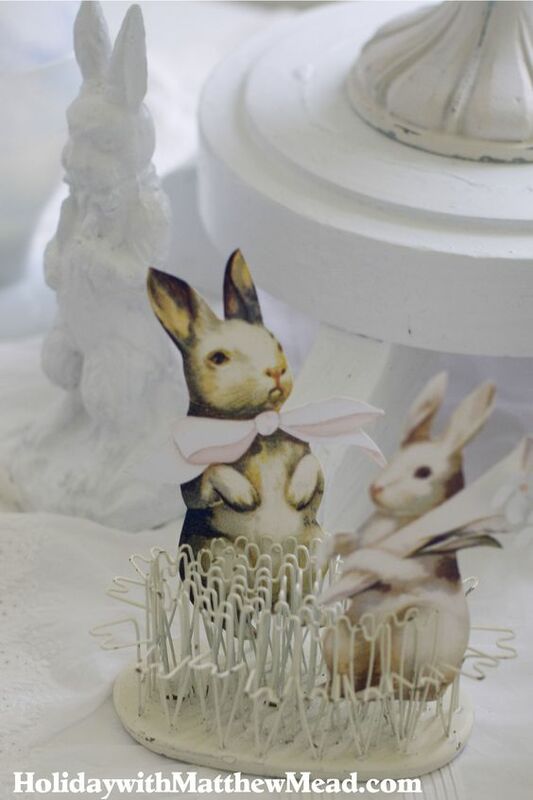 to conjure up cotton tails! 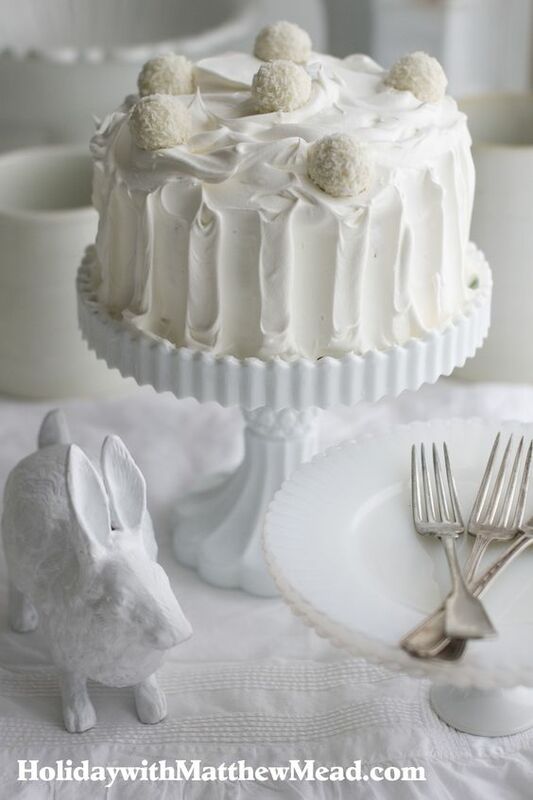 Set on a white pedestal cake stand to impress. 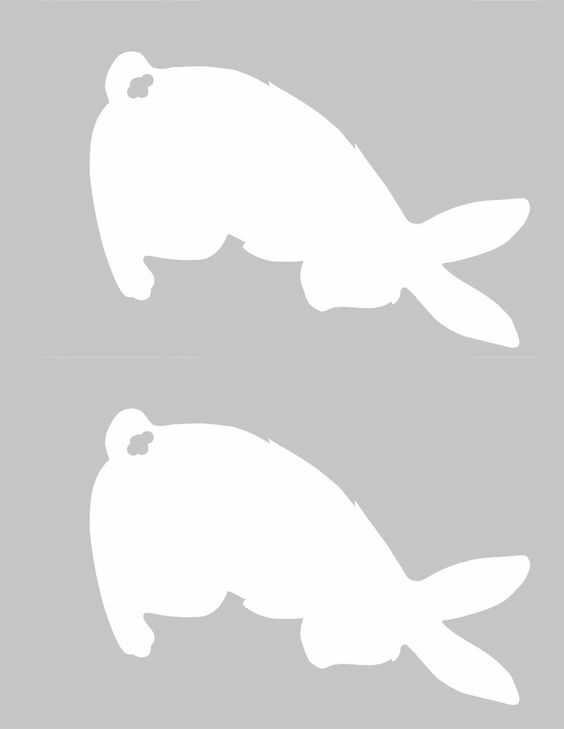 If you don't have white, use clear glass to keep the palette clean. all nestled in a section of egg crate cut to fit the box. 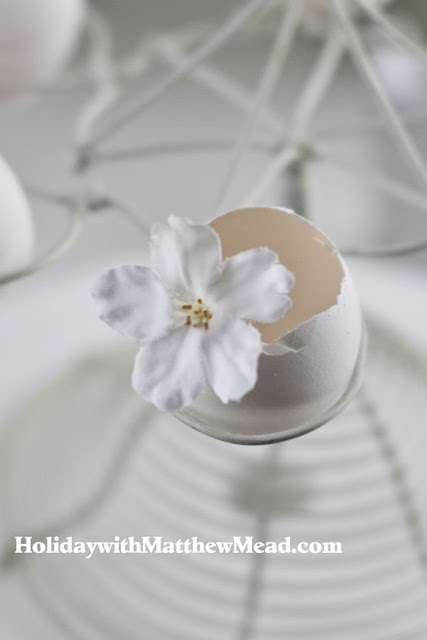 a broken eggshell used as a vase for a single flower. 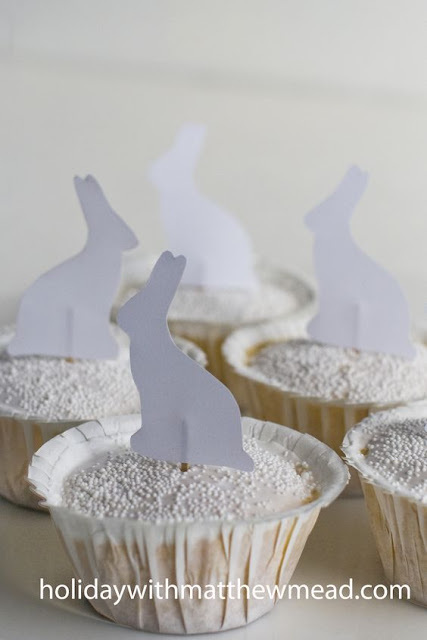 Little paper cutout bunny silhouettes glued to toothpicks are inserted into lemon cupcakes, frosted with sugar and white sprinkles. Use as place settings by inscribing names on each bunny. 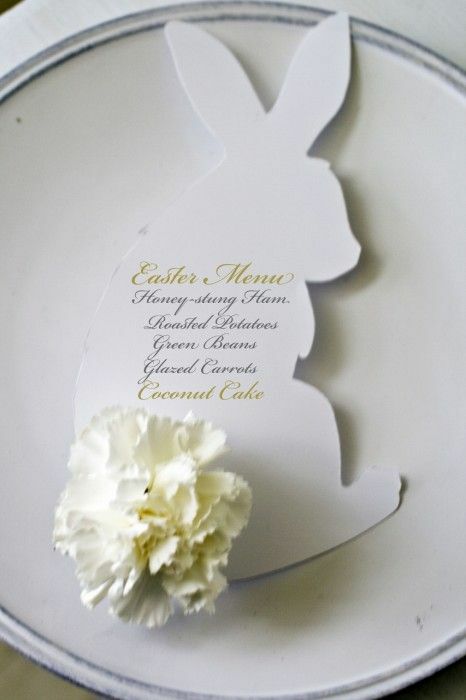 and then use for a table centerpiece or menu card. 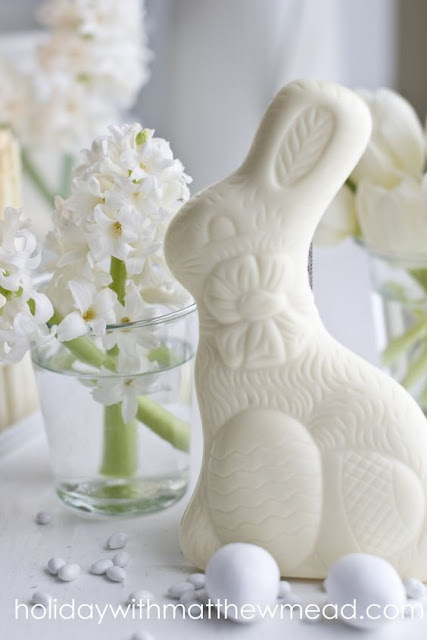 White carnations make whimsical cotton tails. 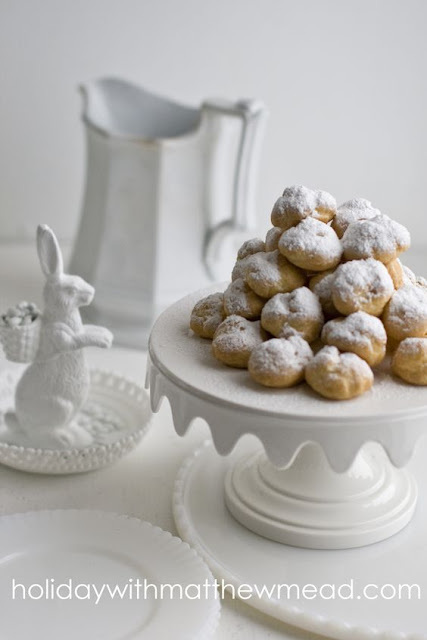 and dress up the white dinner plates. confectioners sugar makes a cute reference to Peter Cottontail. are tucked into flower frogs, painted white for the occasion. 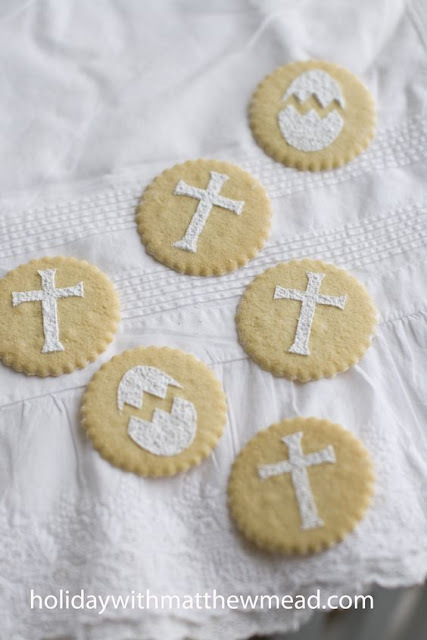 these cookies at a First Communion party as well as at an Easter table. this time on a store bought pound cake! 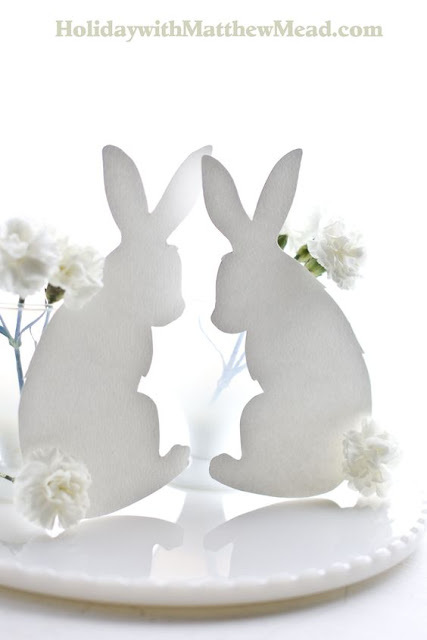 Find an array of stencils at shops like Michaels or Joanns. inside of juice glasses. Brilliant! old fashioned and romantic Easter gift to a special loved one. 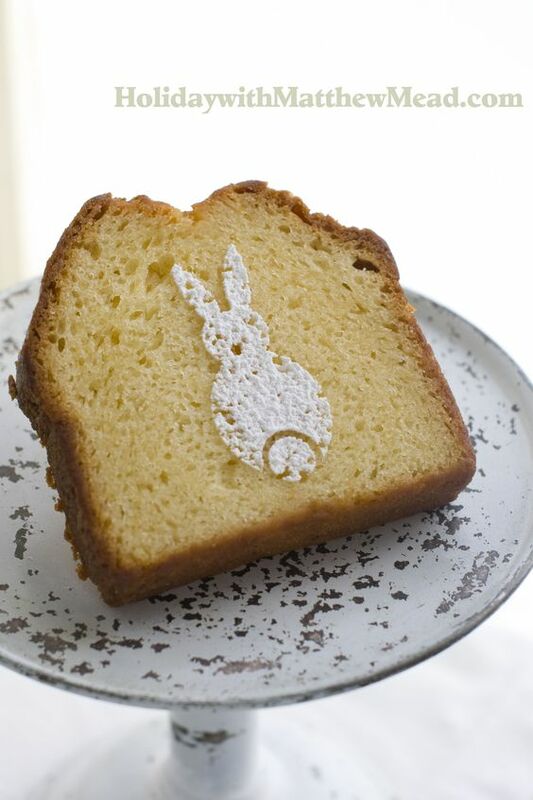 for an unforgettable table to share with your family and friends. brought about the thinking of incorporating some gold accents on my French chairs. 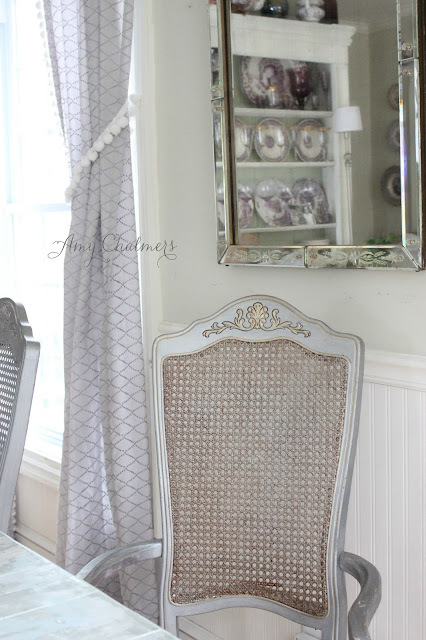 This lovely cane back chair with blue-grey paint and gilded accents captured the essence of what I hoped my silvery grey chairs could aspire to....although my chairs are not as fancy, it is the "essence" that was the plan. Adding some dimension with stain over the cane backs, and then gilding the decorative details became an afternoon's project. 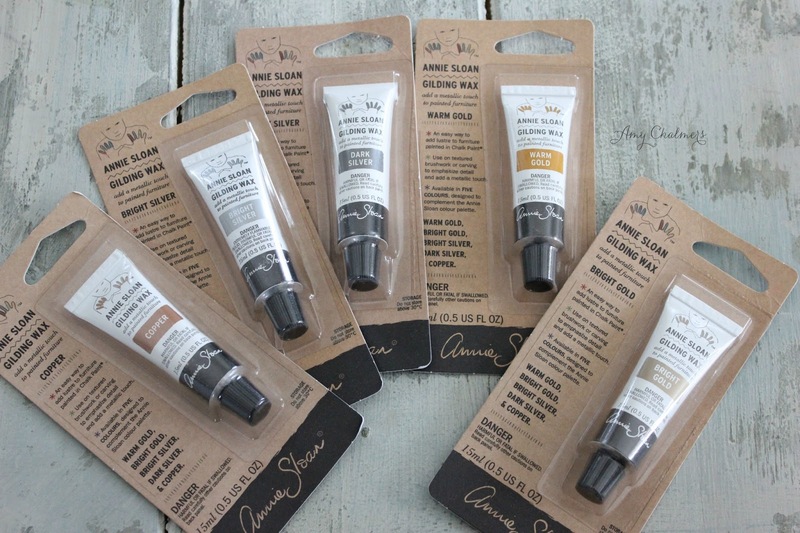 Annie Sloan's Chalk Paint line has added gilding wax to the lineup, and it comes in five metallic shades, two of which are gold colors. I went with "Bright Gold" after comparing the two. This gilding wax will complement any furniture, so start thinking what you can gild! Gilding with gilding wax is much easier and quicker than gilding the old school way using gold leaf and sizing. Simply rub on or paint on the gilding wax, using your fingertip or a small stiff paint brush, like the one I used. After squeezing a bit of gold wax onto a piece of wax paper, I traced around the grooves of the chair using the brush, as well as the floral detail on the chair back. One tip I have when using gilding wax and a brush, is to dip the edges of the brush into a bit of mineral spirits, then into the gilding wax, and then apply to the surface. It is the same methodology of dipping a paint brush into water when painting watercolors. It glides right over the surface, leaving a gilded stripe in its path. 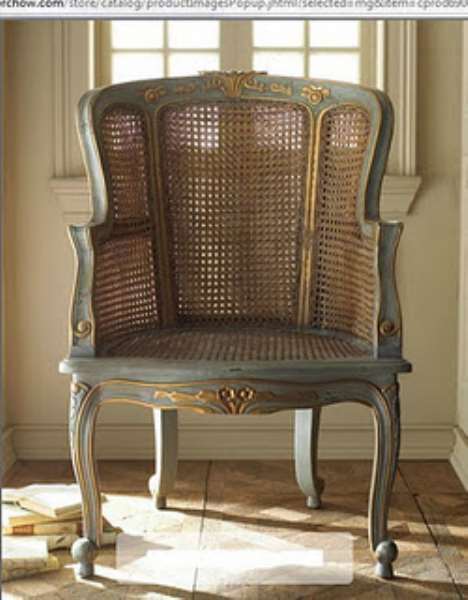 chairs are more heavily gilded, and some spots are sparse, as if worn off over time. they lacked before, and yet at the same time they aren't screaming for attention. 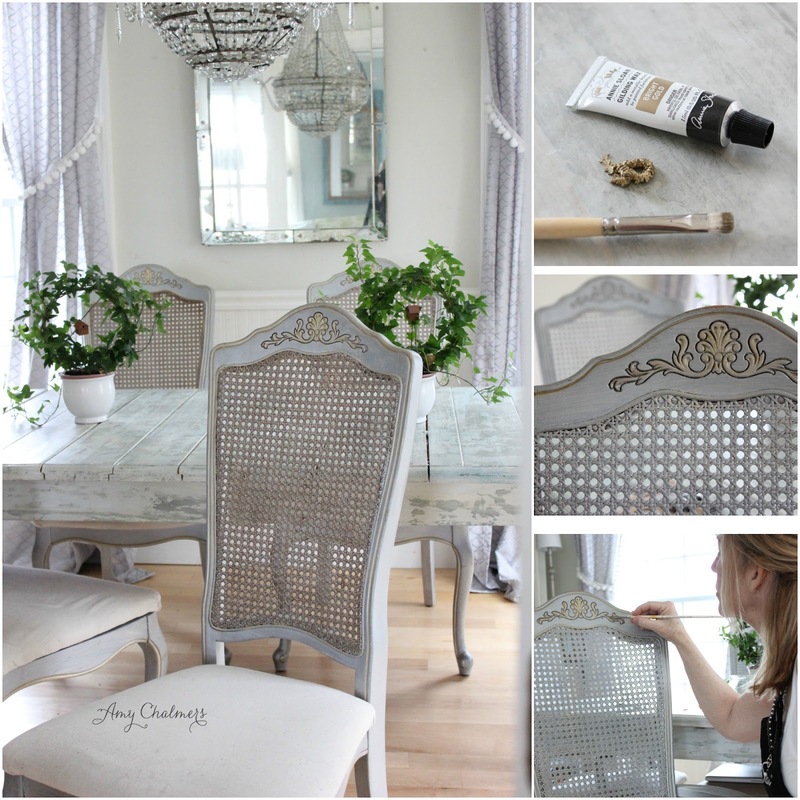 Using Annie Sloan's gilding wax is easy, affordable and yields great results! 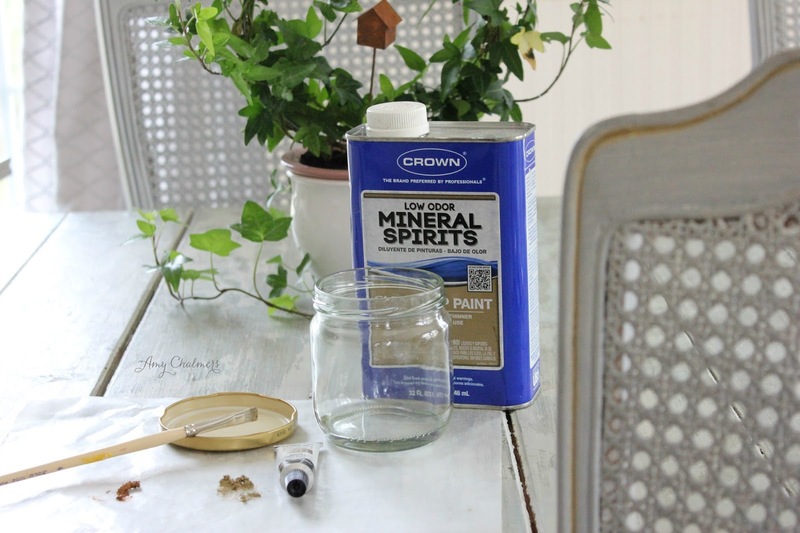 Give it a try, and get some gilded goodness going in your home. The master bedroom makeover is well on its way to being a success story. 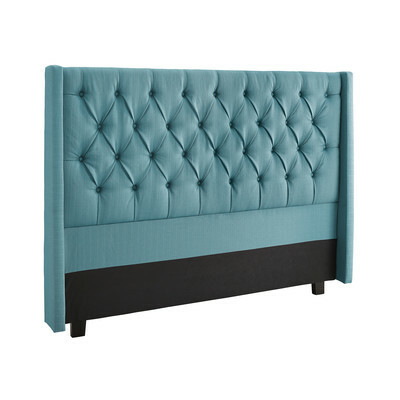 the bed itself, we opted for a tufted fabric headboard. The color of the headboard was the one thing I was nervous about. colored blue headboard. All of the bedding and bed parts were ordered online, sight unseen. That is pretty nerve wracking, and I had to wait for them to arrive, one by one. I wouldn't be able to tell if my choices would work, until it all arrived. with the new bedding, and we ended up being pretty thrilled with the way it turned out. bed, meant getting all new linens, and that was the fun part! Some items would be a splurge, some would be on sale. but I think it looks fine. The overall palette is monochromatic aquamarine. 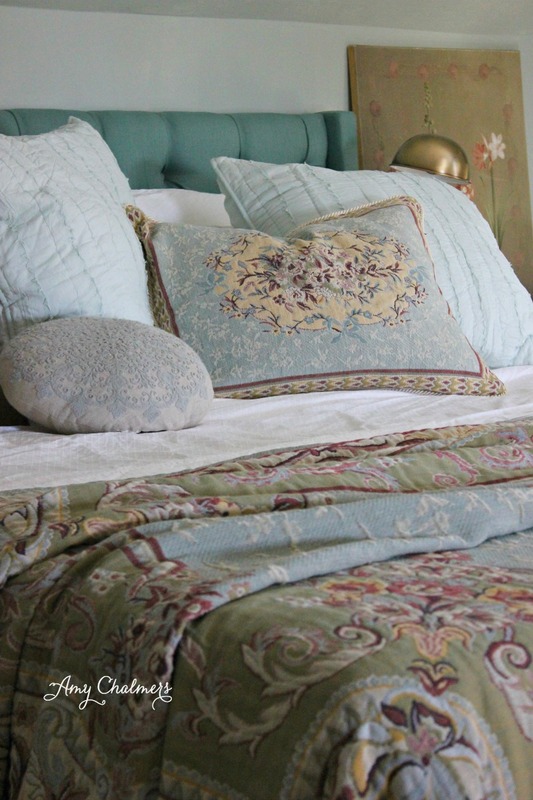 I wanted to pull out the blue in the bedding, and that is why I looked for blue components. 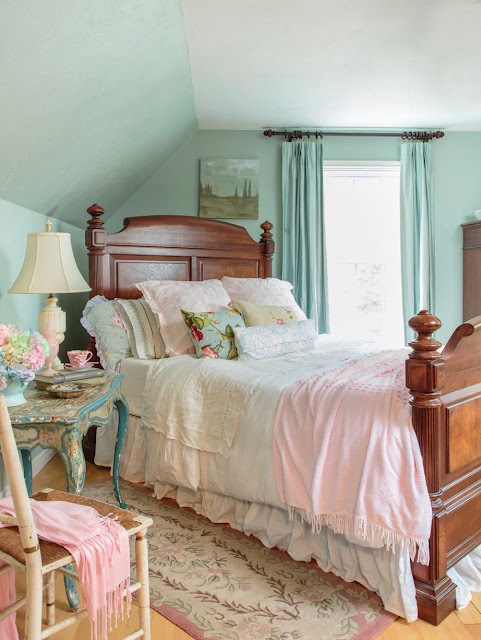 to have your room be "your style" with your favorite color, green. look amazing with this bedding. 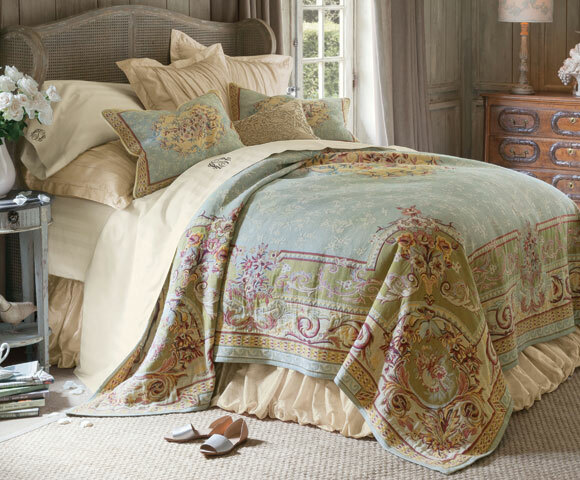 the bedding, my source list is as follows. 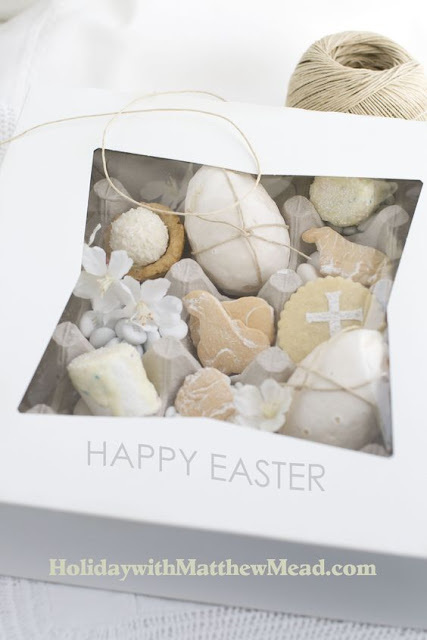 Click on the item to go to the link. as now it seems the King may be out of stock. It was a smokin' deal at $79, and they do have the twin size for sale at $56. 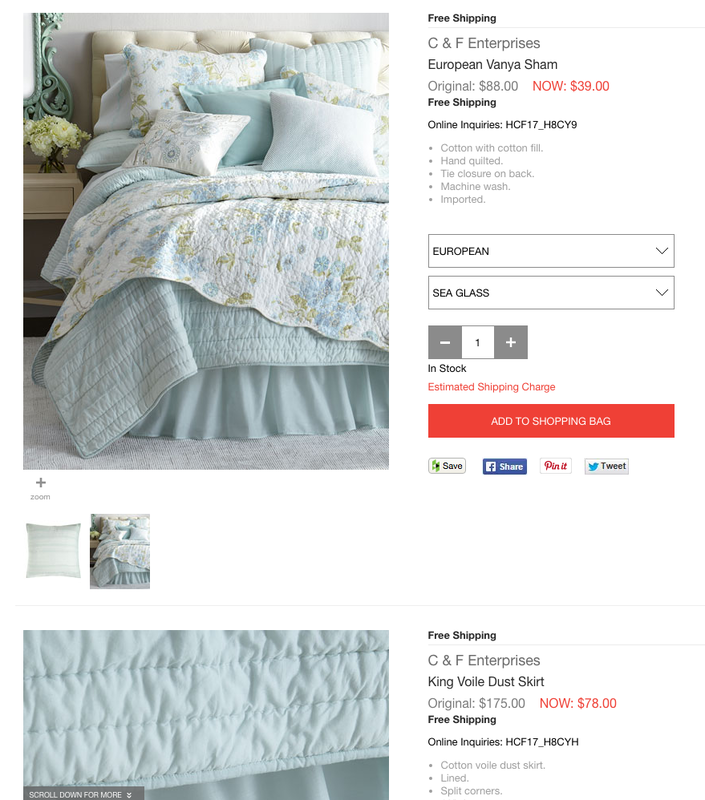 you will find bedding that is well priced and lovely. I splurged on the Coverlet from Soft Surroundings, as I felt that was the one thing that would make the room, style wise. So spend where you must, and save where you can. We have only spent one night on the new foam mattress, but it seems fantastic. The platform and the riser were both so well made, we were very pleased with everything. and hopefully helpful to you, if you are also redoing your bedroom. Note: Update on the mattress~we love it and are enjoying our best sleep in years! as we purchased it online after reading many reviews. from the foam dissipate for 3-7 days to avoid any reactions to the VOCs the foam emits. 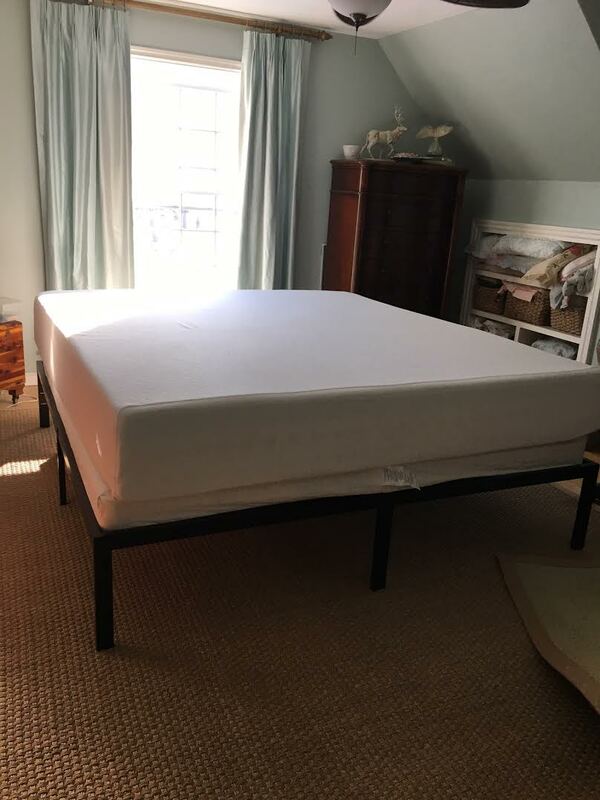 When we got it, the mattress was rolled up in a vacuum sealed bag, and it was very thin. When we cut it loose, it hissed and blew up and grew to the 12" size it is now!!! Totally freaky! 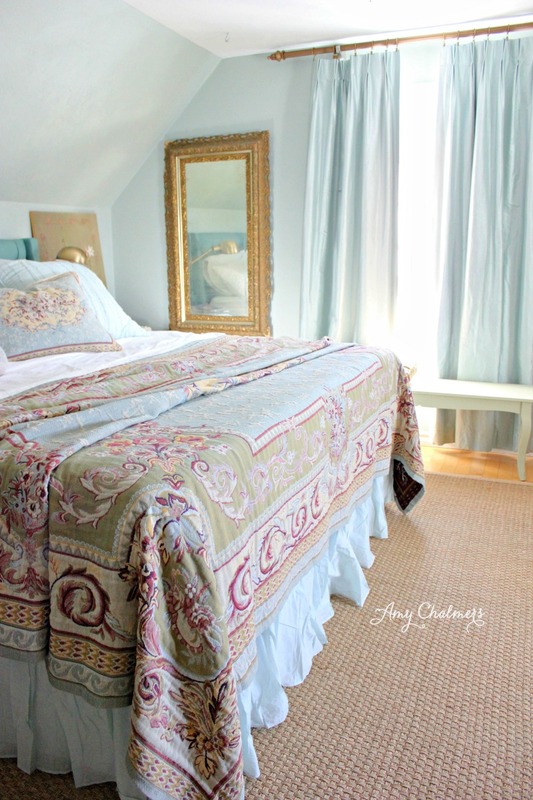 metal platform to give the bed extra height for an appealing look when covered with bed dressings. 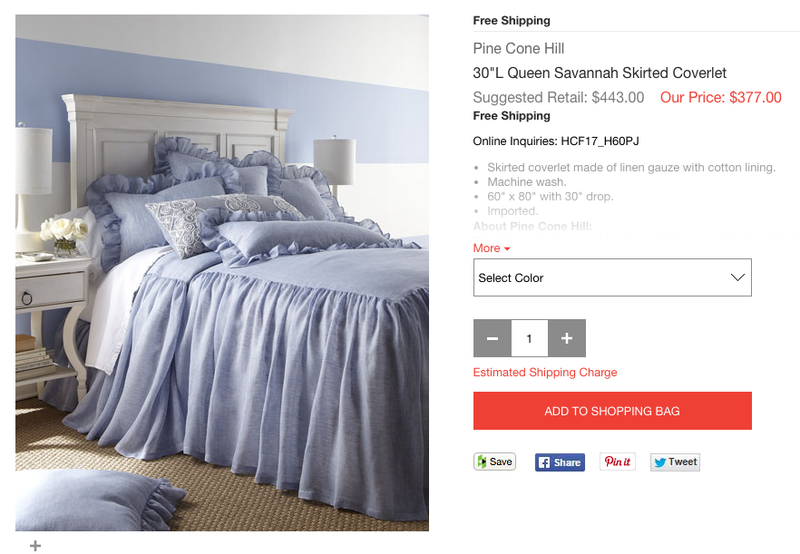 bedding for the King size bed. Which may turn out to be more expensive than the bed and mattress! 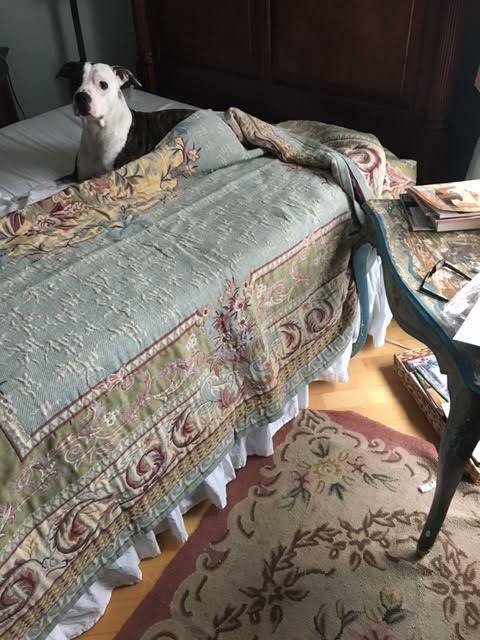 My first purchase was this Belgian tapestry bedspread. 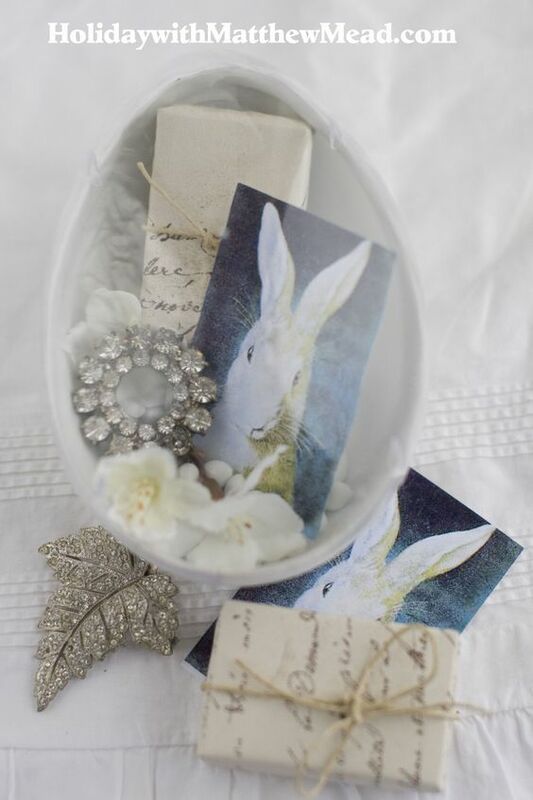 I fell in love with the look of it in a Soft Surroundings catalogue, and that is usually all I need to feel confident that I am going to love something in real life. But one never knows until it arrives...so when it came I ran right upstairs and opened it up and laid it out on the old bed. Colby, never to miss a big moment, wanted all in on the decision making too. We both loved it, and he was careful not to lay on it right away. These pics are all from my iPhone, and so they aren't quite as true to color as real life, but it looks just like the catalogue pic. 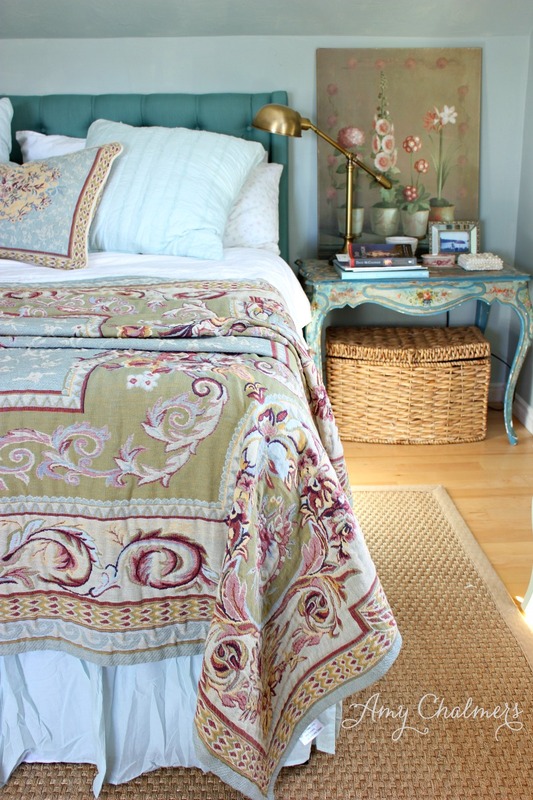 My goal was to have the bedding look complementary to the painted table, and to work with the blue walls in my room. Both seem to be perfect. The rug will not be staying, as we are going with sisal. 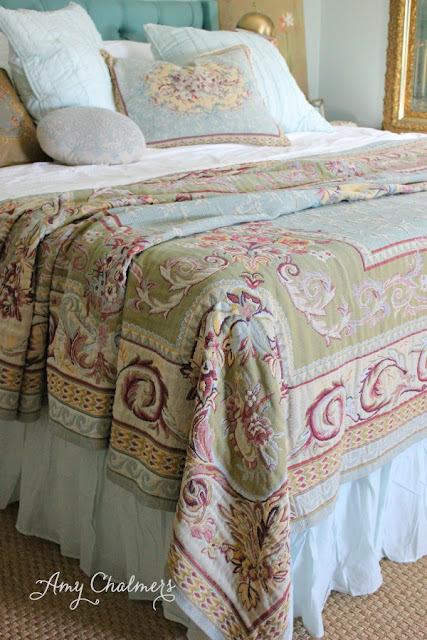 We need a bedskirt to cover the platform and the riser, so its a necessity for a well dressed bed. 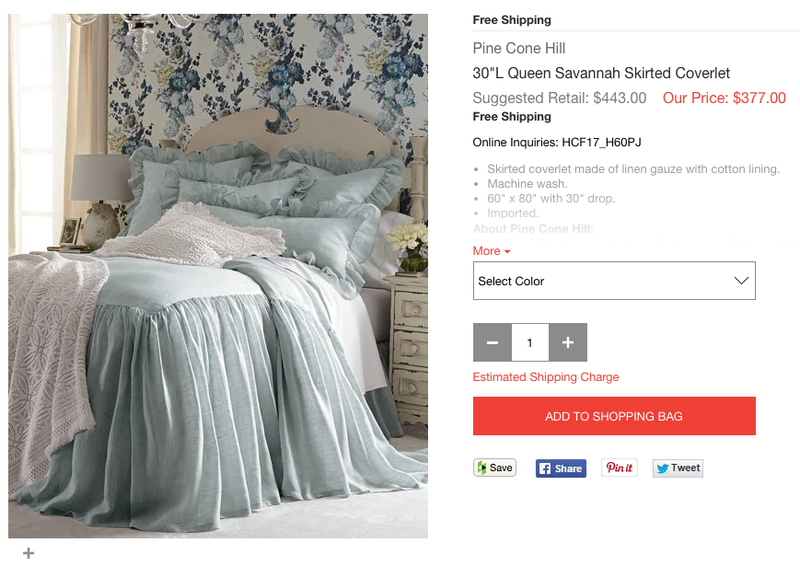 The catalogue pic above shows it with an ecru bedskirt, and I was thinking I would do white. But in person white didn't seem like it would look right. So I searched online for bedskirts at Country Curtains, Overstock, Pottery Barn, Target....and then I thought why not check Horchow? Horchow is a very pricey catalogue company that has beautiful things at staggering prices. But one never knows what one will find, unless they look, right? 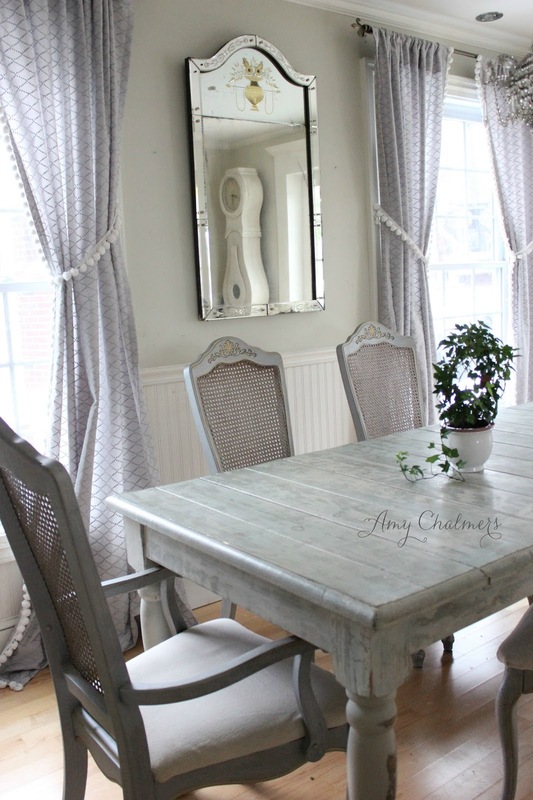 but this King sized Cotton Voile dust ruffle in a color called Sea glass, marked down to $78. And wouldn't this color look beautiful? YES IT WOULD AMY!! 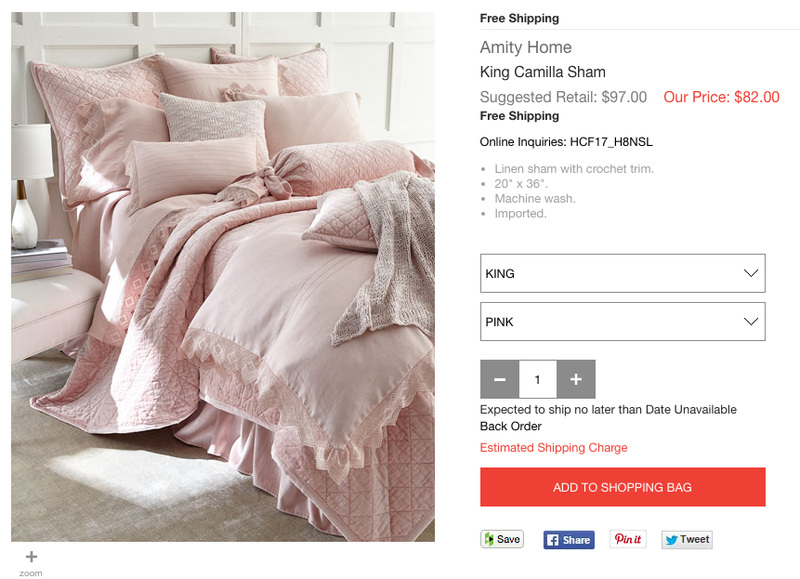 Now the bedding set it was shown with didn't catch my eye, but the color of the skirt did. That is a terrific deal on a bedskirt, and its not polyester or rayon, it is cotton, another big plus! As a matter of fact they had some gorgeous bedding on sale. I particularly love these bedspreads that have built in ruffle from the top of the bed's edge to the floor. They are called skirted coverlets, and I think they are wonderful. You wouldn't need a bedskirt, but I can see they have one on this bed. How pretty is this set in that aquamarine blue? 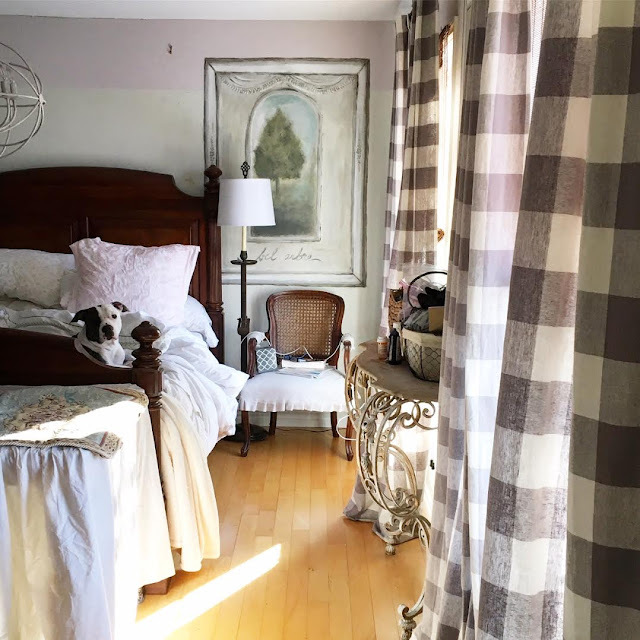 Now the coverlet is kind of pricey, even on sale, but the shams are all on sale and sometimes you may want to add a few pillows to an existing set to give it a fresh new look. and most shops will have choices, from the classic 14" drop to elevated drops of 20" or more. All this online shopping occurred mostly because I have a cold, and was home bound this weekend. Since all the bed parts were arriving I was desperate to get the extra things I needed to finish off the bed. I still need to get a new down duvet and that might be it. A HUGE snow storm is upon us for Tuesday, the day the upholstered headboard is set to arrive. Here is to hoping it arrives on schedule! And the good news is, that after only two days there seems to be no smell in our bedroom at all. YAY! which was the really exciting part! The bedding part was easy. I have always loved this tapestry style bedspread from Soft Surroundings. don't look great when sandwiched in between a headboard and footboard. I finally could order the spread I had lusted over, ever since I laid eyes upon it. 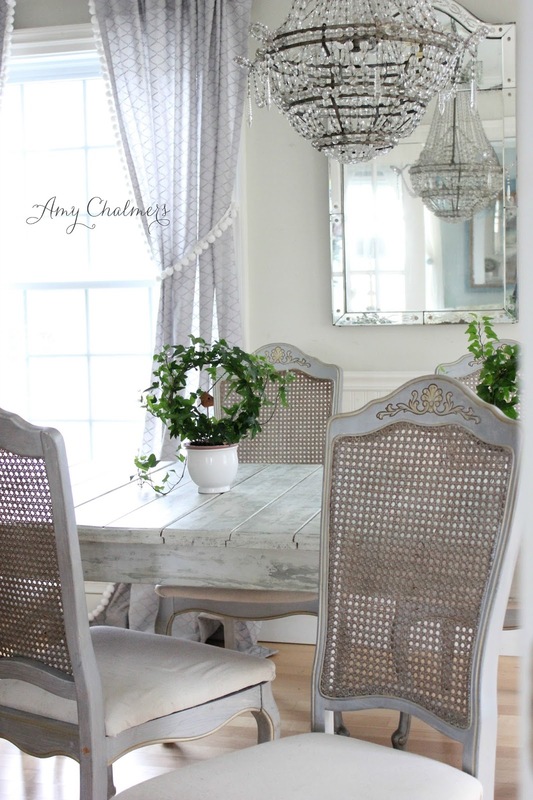 Imagine that spread with my painted antique table....yum zone! I will just have to wait and see how it looks with the walls and the spread. hated that layout option. 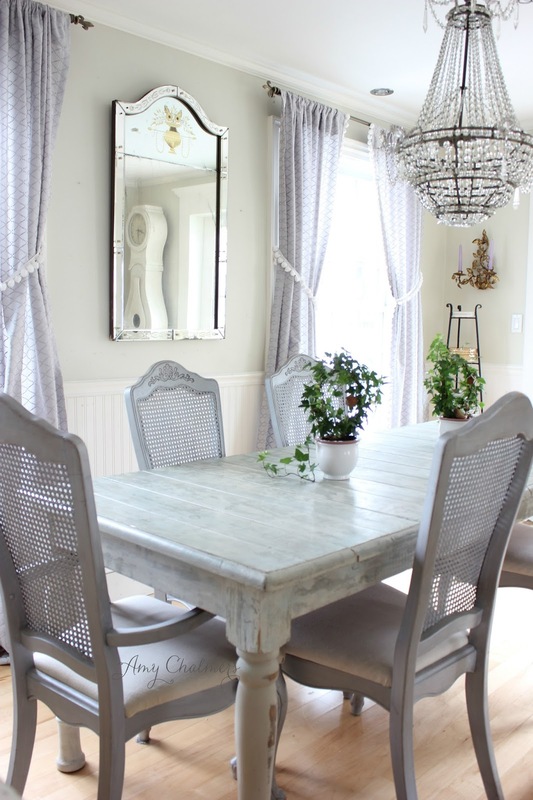 Its not great, putting most furniture in front of a window, lets face it. do with the window and the wall behind the bed, so that it looks GREAT!!! Not ok, not kind of alright, but really wonderful.....and I have a few ideas. Of course I could just put up wider curtains as a backdrop, but that seems very boring. that could open and close to allow access to light and air, and provide a stunning rustic backdrop. anything as pretty and as rustic and as cool as what I envision in my mind. Click here to read how it came out!